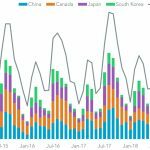 South Korean trade activity fell 2.4% year over year in January as the result of a 5.8% drop in exports. 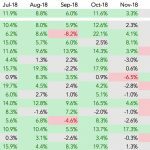 Shipments to China fell 19.4%, an acceleration from 14.0% the prior month, while shipments to Japan and ASEAN also declined. 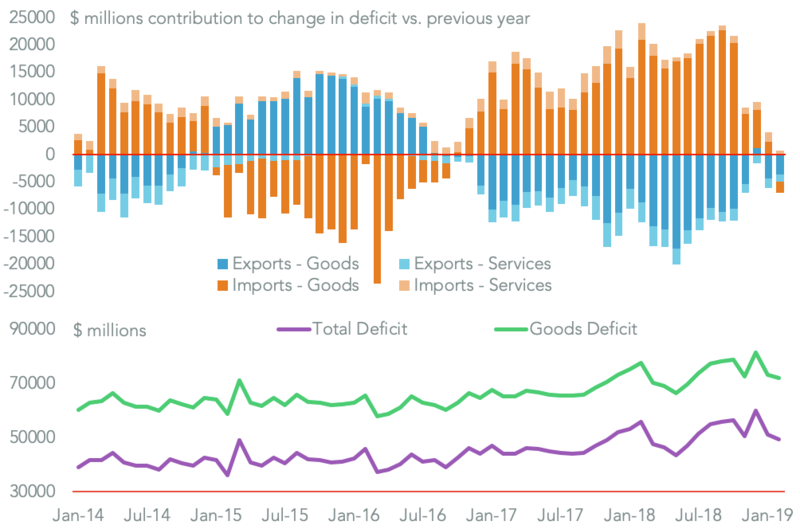 That suggests the slowdown in global trade that first became apparent in December is accelerating. Much of the blame for the deceleration can be placed on the semiconductor industry, where exports fell 23.4%. 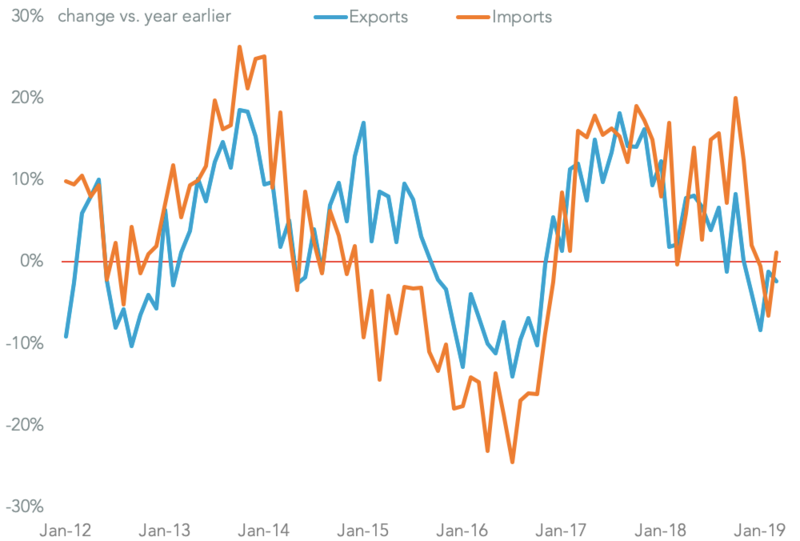 When combined with a 5.2% slide in machinery exports appears the trade slowdown is focused on industrial supply chains rather than consumption for now.